Missionaries Jonathan and Rosalind Goforth arrived in China in March 1888. Their assignment to open a new field in the northern section of Honan province was a daunting one. The young couple struggled to learn the language, adjust to the climate and raise a large family in primitive surroundings. They met many discouraging challenges, including the death of a child. mission, we have tried for ten years to enter that province from the south, and have only just succeeded. It is one of the most anti-foreign provinces in China . . . Brother, if you would enter that province, you must go forward on your knees. The Goforths took Taylor’s advice. With persistence and prayer, they mastered the language. People began responding to their message of a loving Christ. A female convert filled their need of an assistant Bible teacher for women. Prayer sends tremors down the enemy’s spine. It puts courage in the weak-kneed and takes the whine and worry out of life. It resurrects the fallen and revives the discouraged. Only God can give us courage to face impossible situations. Only He can open closed doors. 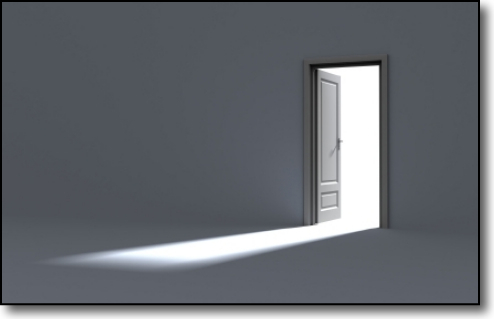 The new year, 2015, is an open door. Let’s go through it on our knees. Prayer: Father, make me alert to the opportunities You provide. Give me courage to walk through the doors You open for me. I dedicate this new year, 2015, to You. At the end of it, I want to be found Faithful to Your Word and to Your purpose for my life. Gallery | This entry was posted in Inspiring People, Prayer and tagged 2015, China Missions, Hudson Taylor, Jonathan Goforth, new year, open door, Prayer, Rosalind Goforth. Bookmark the permalink. Very encouraging Rose. Thank you. Blessings in the new year, Darlene. Thanks Rose for a lovely devotion and prayer for the new year. I join with you in prayer. Your friend Rose from Georgia. Marvellous that prayer isn’t bound by geography. Blessings in the new year, Rose. Joan – may prayer be your anchor in 2015. I think you’ll really be inspired by Rosalind’s book, an old one, simple and direct. She also wrote a little masterpiece called Climbing. This is probably the most important message I’ve read all year (or maybe ever?). Thank you, Rose. May God answer that prayer in your own life as well. Thanks also for the link to the Rosalind Goforth book.